Former University of Illinois Springfield professor Caryl Moy is being remembered with a special gift that bridges both UIS and the SIU School of Medicine. Richard Moy, M.D., former dean of the Southern Illinois University School of Medicine, and his sons Philip and Eric Moy have given a $250,000 endowed fund to UIS in honor of their wife and mother, former professor Caryl Moy. The Caryl Towsley Moy, Ph.D., Fund for Collaborative Research will support faculty from UIS and the SIU School of Medicine who do team-based research. "Caryl would be delighted with the collaborative nature of this research," said Richard Moy. "She was very comfortable at both institutions, and she would be happy to create opportunities for faculty." 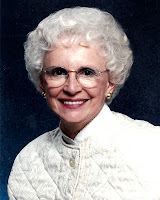 Caryl Moy taught for 21 years at UIS (then Sangamon State University) beginning in 1970. Earlier she had been a high school home economics teacher. After earning a master’s degree in social work, she moved with her family to Springfield in 1970, where she began teaching sociology at Sangamon State. After earning her doctorate in 1980, as she continued to teach at SSU, she also served as clinical professor at the SIU Medical School. "We are deeply grateful to Dr. Moy and his sons, Phillip and Eric, for this wonderful gift," said UIS Chancellor Susan J. Koch. "It honors so appropriately the memory of their wife and mother, Caryl Towsley Moy. I am particularly pleased that this fund will make possible team-based collaborative faculty research at UIS and the SIU School of Medicine. With support provided by the Caryl Towsley Moy, Ph.D., Endowed Fund for Collaborative Research, the research will benefit both institutions and will foster new knowledge in many important fields of inquiry." Caryl Moy's honors include being named a Distinguished Professor Emeritus at UIS and selection by a committee of historians as one of 12 women who made a difference in Springfield. While teaching, she also had a private family therapy practice and became the founding president of a family planning agency. "Anyone who knew Caryl Moy knows she was a force to be reckoned with," said Dr. Kevin Dorsey, dean of the SIU School of Medicine. "When UIS and SIU School of Medicine were beginning, Caryl was a tireless worker to help both institutions gain community support. Her intelligence, wit and fiery spirit made her a deft collaborator." Richard Moy looks forward to the time when faculty from both institutions can say with pride, "I'm getting a Caryl Moy grant." With their gift, the Moys have guaranteed that faculty at both UIS and SIU School of Medicine will be making this statement for many years to come. For more information, contact Sarah Jennings, UIS director of development for corporate and foundation relations and major gifts, at sjenn02s@uis.edu. The College of Business and Management at the University of Illinois Springfield has received word that it has been reaccredited by AACSB International – The Association to Advance Collegiate Schools of Business. Continued accreditation places the UIS College of Business and Management among an elite group of business programs – less than 5 percent of business programs worldwide and just over a quarter of U.S. business schools have earned this prestigious recognition. “Being among AACSB accredited business schools is testimony that the UIS College of Business and Management is a leader in preparing our students to work in all types of business and business related organizations,” said Ron McNeil, dean of the UIS College of Business and Management. The AACSB accreditation shows UIS offers high quality programs that are current, relevant, and reflect the complexities of today’s business environment. AACSB is the gold standard for business colleges. Employers are increasingly seeking graduates from AACSB accredited business schools knowing that students’ education has developed competencies that will support a competitive edge in today’s complex global markets. 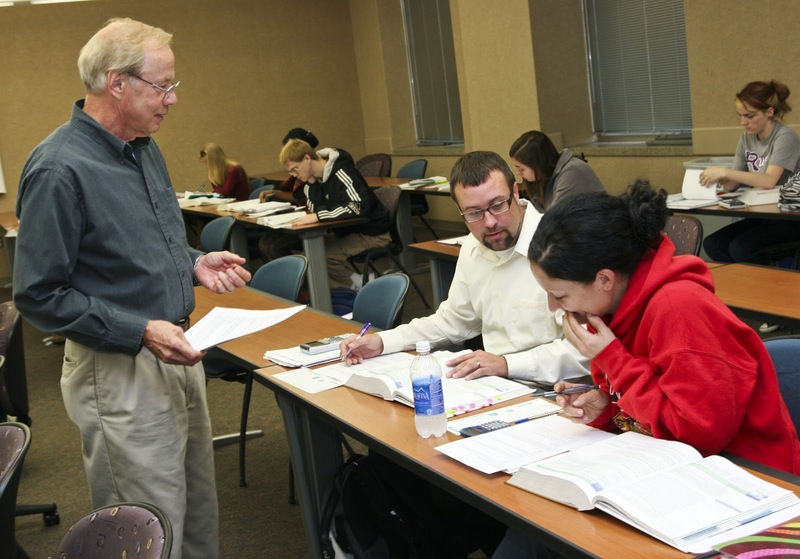 The UIS College of Business and Management offers undergraduate programs in Accountancy, Business Administration, Economics, Management, Management Information Systems, and Marketing. Graduate degrees offered include Accountancy and Management Information Systems and the MBA. Fully online undergraduate degree completion programs are offered in Business, Management and Management Information Systems. The graduate Management Information Systems program is also offered fully online. To learn more about University of Illinois Springfield, visit www.uis.edu. For more on the AACSB International accreditation, visit the accreditation section of the AACSB International website at www.aacsb.edu/accreditation/.